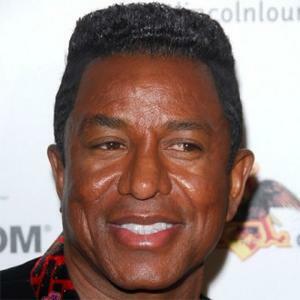 *Jermaine Jackson finally has a release date for his long-rumored memoir. Touchstone announced today that “You are Not Alone: Michael: Through a Brother’s Eye” will be released this fall, reports the Associated Press. Jackson spoke in 2003 of wanting to write a memoir and reports surfaced again after Michael’s death, in 2009. Sisters Janet Jackson and La Toya Jackson also have books out this year. I hope Jermaine uses the advance from the book to pay his back child support and to MOVE his ex out of his mother’s house and into a house of her own. He should be ashamed of himself and Randy also. this is one brother pimping sibling…. WhatEVER … I wonder if the book will include a chapter on HIS HAIR? That is really all I care about. I’ve read where Jermaine said “we” are telling “our” story. I didn’t know that the Jackson family agreed on details of Michael’s life and death? I wonder if Jermaine is splitting the profits with “us”?